Extremely well made suit. Good range of sizes available ensures a really good fit. 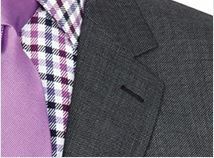 Easily as good as a suit costing twice the price. Customer service is excellent and dispatched quickly. Thoroughly recommended. 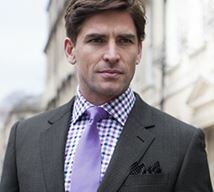 Brook Taverner have a great range of high quality clothing that is perfect for business and pleasure wear. The service is excellent with a fast and efficient delivery and no quibble returns system if something doesn't fit or you have changed your mind. It is an excellent hassle free way of buying clothes when you are as busy as I am! I have found that Brook Taverner items are usually sizes of clothing that are too big, so I was pleasantly surprised to find something my size. Though I had trouble ordering on line, a telephone call was most helpful. A lovely suit. I have been buying suits from the wonderful folks at Brook Taverner for over three years and would not shop anywhere else now. The quality of the materials is second to none - including much more expensive 'designer' labels. The delivery is remarkably quick and the customer service is magnificent. I have returned sizes and had trousers hemmed without a single question with the usual super quick turnaround. The suits look fantastic and I am a very happy customer. Hi, I'm looking for low to mid rise trousers for suits and trousers. Do you have any information please? 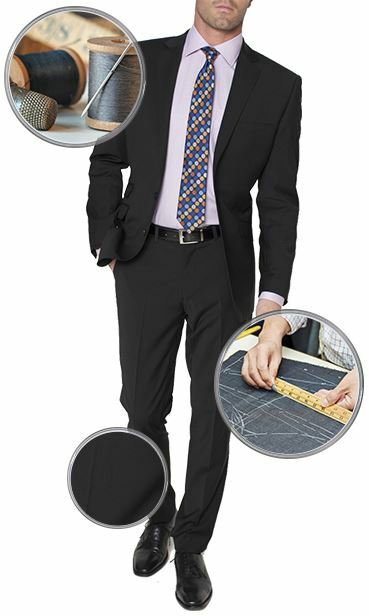 All of our flat fronted suit trousers are 'mid rise'. We do not keep any low rise trousers. 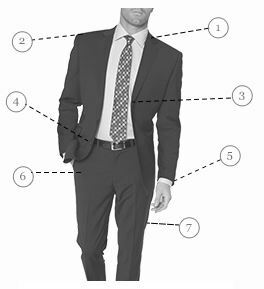 Our fashion-fitting suit is known for a thinner, notch lapel and a higher button stance for an overall trimmer and more polished look. 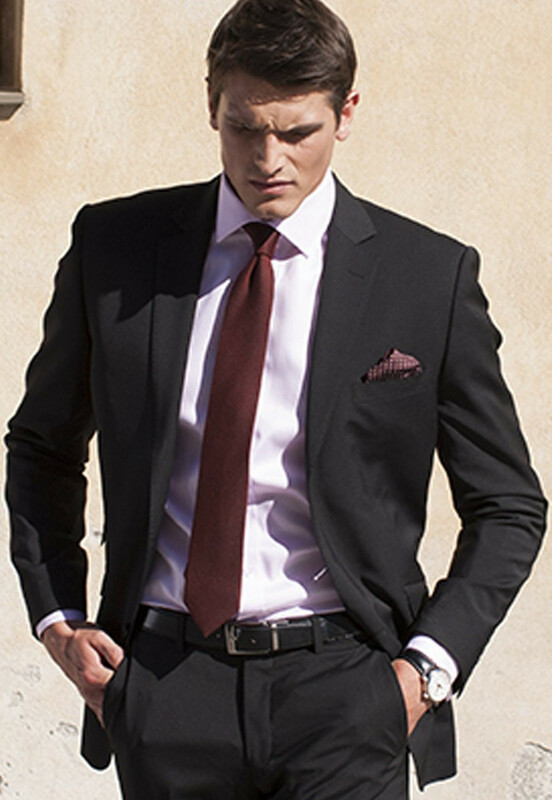 The fashion-fitting suit immediately calls attention to the wearer by creating a finished and smart look. Never out of style, this timeless treasure brings class to every occasion. 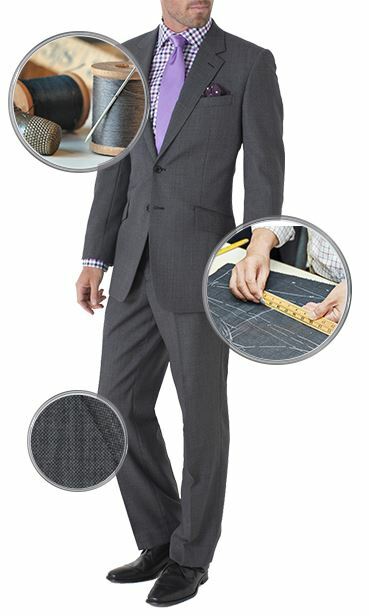 The fashion fit suit jacket is cut to fit closely to the body, emphasizing a lean silhouette. Shorter length, tapered waist, slimmer arm width and a fitted shoulder line are key elements. Because the fashion fit trousers sit higher on the waist and are cut slender throughout the leg, they create an impeccably streamlined look.